Till the mid-1990s, Kota’s air was fragrant. The scent emanated from trees of neem, mango and guava, rose bushes and vines of chameli, mogra, and raat ki rani – varieties of jasmine – that grew in plenty in this Rajasthan city. Life was pleasantly slow, accompanied by a moderate climate, clean and green atmosphere and wide roads. Today, as I step out of the railway station, huge hoardings of coaching institutes – Allen, Bansal Classes, Resonance, Rao Academy, Career Point, and so on – greet me. They fill the skyline and haunt you for miles till you reach the industrial area, the coaching hub. 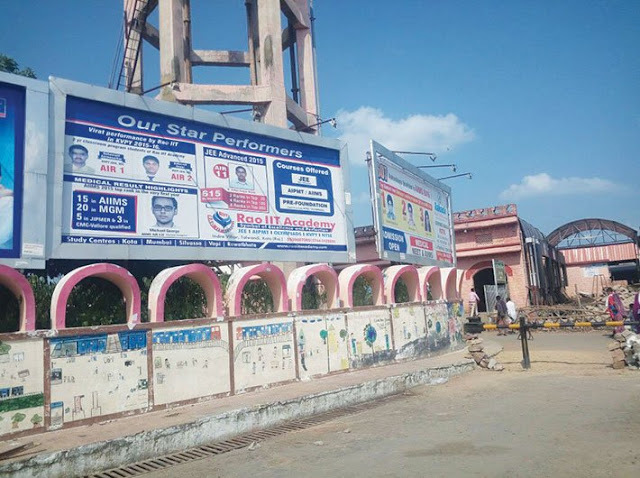 I can imagine how the stories that the hoardings dish out through pictures of successful candidates and numbers of those who ‘topped’ entrance exams of top institutes impact the minds of both parents and students. Some 1.5 to 2 lakh students come to Kota chasing their dreams each year, but only a fraction of them make it. While many, like Rupesh Kushwaha of Nanakhedi village in Madhya Pradesh, realise that they are not cut out for the tough regimen of coaching, for most of them it is often too late. Rupesh was one of the victims of the rat race; he ended his life in August, in his third month of coaching. However, locals are furious at the media’s propensity to focus on student suicides – 35 recorded last year and 16 this year so far. They fear such coverage could give the city a bad name, and make students look elsewhere – without solving the problem at all. Kota, a city of 12 lakh people on the banks of the Chambal river, was once famous for stone and saree – each has a variety named after the city. Today, the floating population of some two lakh students has become the mainstay of the city’s economy. For this reason, one has to understand why everyone, from a hawker to an auto-rickshaw driver, blames the “irresponsible media” for hyping the suicides and defaming the coaching industry. Yadav, who owns two hostels, is referring to a bleak era in the history of Kota. In the early 1980s, a number of factories including JK Synthetics downed the shutters, leaving thousands jobless. At that time Kota was an industrial town nicknamed the Kanpur of Rajasthan. Besides, JN Marshal and Oriental Power also had their factories here. Gradually, trade union politics and other economic factors started telling upon the output, leading to the bleeding of factories and their closure. In 1983, JK Synthetics laid off 12,000 people who had nowhere to go. In the living memory, some 200 locals had committed suicide in the wake of the JK Synthetics closure in Kota in 1997. Before this, the city had already ceased to be an exclusive centre of the handloom sarees. Also, traditional paddy crop was being replaced with soyabean. This saw the death of numerous rice mills. Soon, as the soyabean crops failed and poppy stood banned, the economic crisis deepened. Already, due to an irrational revenue policy, traders had lost interest in Kota stone. This left many in penury. Ironically, Kota’s rise as India’s coaching hub started with this depression. Maybe, that is why the locals refer to the coaching business as ‘Kota coaching industry’. The story begins with Vinod Kumar Bansal, who was once an employee of JK Synthetics. He along with his family lived in the factory employees’ colony. As he had good mathematics skills, children from the neighbourhood flocked to him for help. One day he was diagnosed with muscular dystrophy, a condition that rapidly weakens one’s muscles and bones. This disease restricted his movement and he could no longer work in the factory. It was time for retrenchments. Fearing he might lose his job, Bansal started giving maths tuitions at his home. In 1986, one of his students cracked the IIT joint entrance exam (IIT-JEE). Next year, some 100 students had joined his classes and by 1998, Bansal was coaching more than 1,000 students. 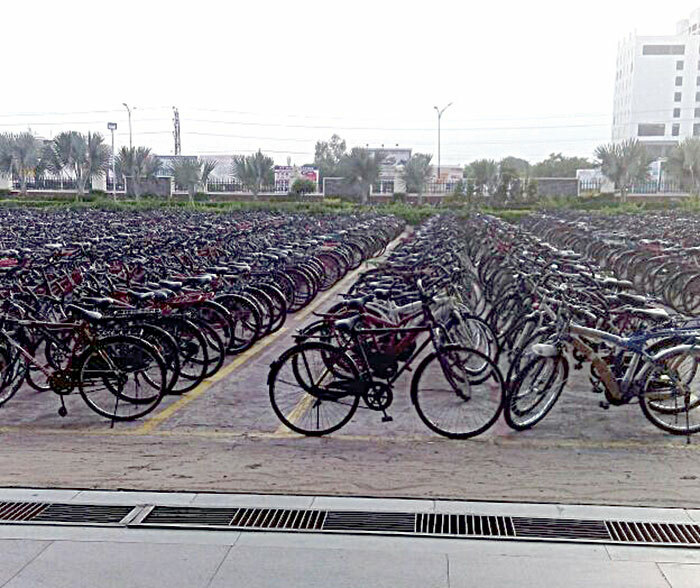 Soon he built a big building in the city’s industrial area and set up Bansal Classes. The word spread and Bansal Classes brought Kota on the national stage. Parents eager to see their children enter top professional institutes started flocking to Kota to enroll their wards in Bansal Classes. As more and more students from his classes started making it to the IITs year after year, others took the cue and set up their coaching classes. Allen, Career Point, Resonance and Rao Academy – all have originated from the success of Bansal Classes. 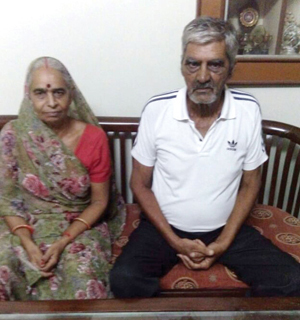 Bansal, 64, moves in a wheelchair. The eight-storey Gaurav Tower on Jhalawar road that houses Bansal Classes has a ramp for the convenience of the founder and others to move around. “Had there been no signs of closure of the JK Synthetics unit, I would not have taken to coaching so seriously,” he says. The hardworking man had unknowingly helped almost the entire city emerge out of the economic depression. Going down the memory lane, he recalls how his desperate efforts for livelihood spawned a full-scale industry in Kota during 1986-2000. Inspired by his success, one of his neighbours, Rajesh Maheshwari, was the first to start a tuition centre, which is now known as Allen Career Institute. Pramod Maheshwari, who was teaching physics at Bansal Classes, started Career Point. “My physics teacher RK Verma opened Resonance coaching centre. He also poached my faculty and students,” he says. Bansal however adds that he has managed to do well in spite of attritions and growing competition. In 2000, one of his students topped and 300 others cracked the IIT-JEE. It created a stir. “There was a long queue outside my study centre and I finally selected 18,000 students that session,” he recalls. 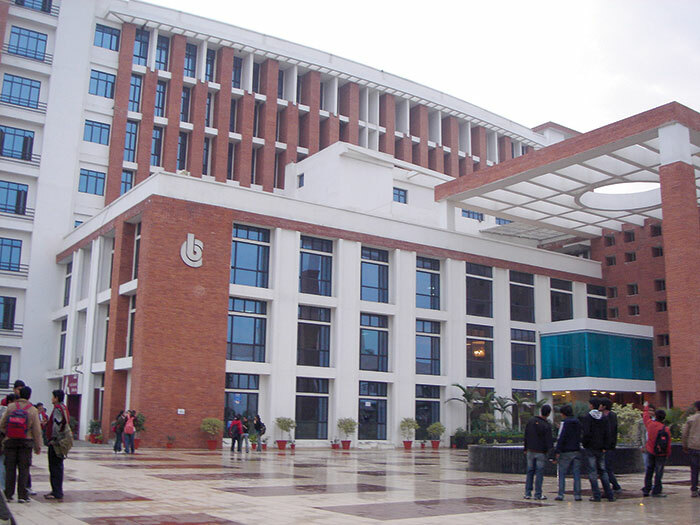 Bansal claims all other coaching institutes are reaping the harvest of his hard work. Apparently, a crucial preparatory tool – the ‘daily practice paper’ (DPP) which is given to students in all coaching centres – is Bansal’s invention. “They took away my intellectual work of years that I had put into creating methods and techniques of coaching and are using the same,” he says. However, later Allen innovated and started ‘doubt removal counters’ where students can clarify matters confusing them. Next, I am at Parag Mess at Mahaveer Nagar. 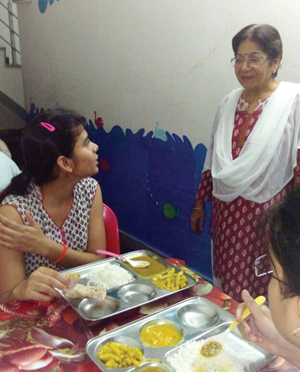 At 8.30 pm, Manoj Sharma and his wife Hema are serving dinner to students. The ambience in the dining space is homely. The venture was started by Manoj’s father Radhey Shyam Sharma. Now in his seventies, Sharma too had lost his job at JK Synthetics. “I had no source of income then,” recalls Sharma, whose family lives in a large house, of which one part is the mess. When he became jobless, Sharma set up a sugarcane juice vend in front of the Kota engineering college. It was a seasonal business and didn’t get him enough to feed his family of three daughters and a son. He had to do odd jobs to make ends meet. At that time, Manoj was studying for B.Com. As luck would have it, in 1994, Sharma set up a snacks joint in front of Career Point. One day, a student asked him if he could also provide him lunch and soon he was selling home-cooked meals in tiffin boxes to five students. The demand grew and a year later Sharma opened a mess and tiffin service in his small house, and named it Parag Mess. He soon built a new house in Mahaveer Nagar, which today houses a pantry, kitchen and a dining hall. By then, Allen had opened a new branch in the neighbourhood and it helped Sharma get guests for the mess and also students for his five-room hostel. With the ever-growing demand from visitors, the local market was booming. Most of the residents, who had lost livelihood due to the industrial downturn, by now added rooms to their houses for hostels. In Kota, mess, tiffin and paying-guest services became a cottage industry. Each year during the admission time, one can see service providers waiting outside coaching centres and giving out their visiting cards to offer room and mess services at competitive prices. Manoj, who manages the mess after his father took retirement, is witness to the changes that has brought prosperity to the city. He says about one lakh students live around his mess, in localities like Mahaveer Nagar, Indra Vihar, Rajiv Gandhi Nagar, Talwandi, Jawahar Nagar, and many hostel owners are now outsourcing food from him and others. I lived in Kota till 1983. In those days most of the houses had large compounds and gardens. The neighbourhoods of Vigyan Nagar, Dadabari and Talwandi – where most coaching institutes are located – were open residential areas and each had a separate market and commercial quarter. Today, the once picturesque Rangbari road is lined with four-to-seven-storey houses; many with a board of ‘To Let’ to draw attention of students. The next day I head towards Talwandi to meet a friend. Keeping with the times, her family has also added two floors to their one-storey house. They live on the ground floor and 20 rooms above are used for the hostel. From the terrace of her house, I can see boards of hostels hung on virtually every house. I see a building with a halwai shop on the ground and six storeys on top of it serving as a hostel. Residents told me that not long ago there was plenty of open land on both sides of Rangbari road. Except a few shops and a jhuggi cluster, the land along a drain was not much sought after. When Allen opened its new branch at Talwandi, many people of means and influence bought this land and built hostels. No wonder, the domestic helps in the area are highly paid and fruits and vegetables are overpriced. On Rangbari road behind my friend’s house, the scene is similar – a line of hoardings of hostels, professional college entrance coaching institutes, coaching for getting jobs in railways, state administrative services, bank, army, olympiads, etc. Amid this are shops of grocers, laundry, fast food, electronic goods – all housed in multi-storey buildings. The once popular food joint Amar Punjabi dhabha near the railway station has opened a branch at Keshavpura on Rangbari road. It is teeming with customers, many waiting outside. Tinku, the owner, tells me that he opened this branch in 2010 to cater to students and locals. He says though students are his main customers, locals too eat out often. “Due to the coaching industry people’s economic condition has improved and they don’t mind spending money,” Tinku says. He tells me that many big food chains have also opened their joints in Kota. But the industry is much bigger than it looks at first glance. Yadav says that politicians, bureaucrats, professionals and wealthy traders have built hostels. One estimate puts the worth of the coaching services at Rs 1,500 crore. The hostel and food business is also pegged around the same figure and so is the retail sale. Today Kota has about 1,500 hostels, 25,000 paying-guest facilities and 1,500 messes. Two-thirds of the hostels are on lease, he adds. In my quest to understand the working of Kota’s coaching institutes, I met Pramod Mewara, the media advisor to Allen. He accepted that they admit even those who fail the entrance test for admission. “If we don’t take them, we know they will go to another institute. So, isn’t it better that we admit them?” he asks as if seeking my affirmation. Resonance, another big name in coaching, also came up with the same logic for mass admission of students. Manviki and Harshita, who have been attending coaching classes at Allen for four years, tell me, “Our teachers are good but there are too many students. We can never get a chance to clear our doubts from teachers. There is a large mob at the doubt counter. The weak students never get a chance.” The students admit that the centres have good teachers but complain that nobody cares if they are stuck at some point. The students shell out around '1.25 lakh in non-refundable fees at the time of admission. Since no pre-test is required for admission, a lot of non-serious students also join the coaching. “If there is a screening of students through a pre-test, we would not get ‘scrap’,” Manviki says. The word ‘scrap’ is commonly used in coaching centres for students who do not have the required aptitude, as per the institutes. Dr RC Sahani, who runs a de-addiction centre in Kota, says there is a need for a regulatory authority for the coaching industry of Kota. People like Yadav, however, don’t believe that suicides have a link with the city. “Students come here by choice. The parents [of students who commit suicide] are to be blamed for pressuring their children for scoring higher.” All those whom I spoke to in the city had a similar view: suicide is an act of an individual for which a town should not be held responsible. I was only able to meet Bansal; owners of other institutes refused to see me. Most of them, I was told, remain incommunicado with the local media. I, however, met their ‘media advisors’ who, in turn conveyed the inability of their bosses to meet me. I somehow got the number of Naveen Maheshwari, director of Allen, and contacted him. He virtually snapped at me and told me curtly that I had broken the protocol by dialling his number. Earlier, while I was trying to speak with students at Allen, a guard rushed and asked me to leave. He told me that CCTV cameras had recorded my ‘escapades’ and the central office had been alerted about me. I wonder what the coaching masters of Kota are trying to be secretive about. As such, Kota’s coaching industry is pegged at around Rs4,400 crore. Besides opening centres all over the country, institutes have started their schools from sixth standard where they offer a composite course in school curriculum and competitive exams like Olympiads or national talent hunt. Career Point has gone further and opened a university, in addition to the school for standards 1-12. Kota probably represents all that is wrong with the Indian education system.